* Current news about the suffering of Syrian refugees. I was particularly moved pieces about children, about their dreams and fears and hopes in what are now desperate times. * A quote that many folks have been citing lately, by the late and wonderful Fred Rogers. "When I was a boy and would see scary things in the news, my mother would say to me, 'Look for the helpers. You will always find people helping....'"
* One of my favorite poems, Alley Violinist, by Robert Lax. I have mentioned this here before. 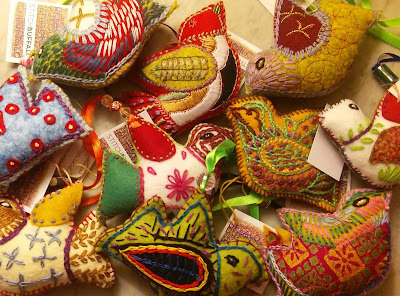 * The gorgeous birds you see in the above picture, all hand-stitched by women who have come to Buffalo, NY from other parts of the world. 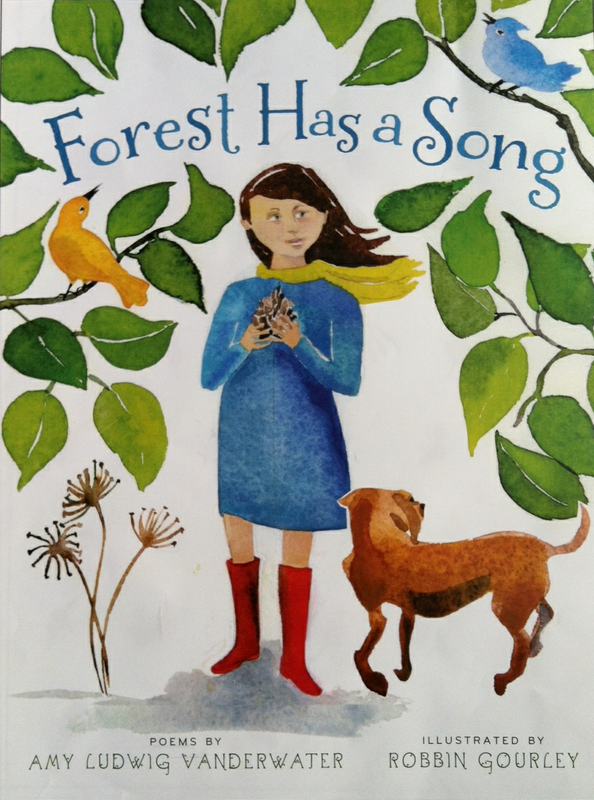 You will notice that today's poem tells a story about one robin and one tree. And then, at the end...it asks a question. This is just what Robert Lax does in Alley Violinist, and that idea of leaving the reader with a question was not something I planned to do today...but it happened as a result of my reading. The writing thought I would like to leave you with today is: care. Read and care. Do and care. Listen and care. Look at the world, near and far from you, and care. Fill yourself up with things to care about. These very same cares will become a part of the human you are and a part of your writing too. So get out there and pay attention. There is a lot to notice and care about. Now, onto the birds! The ones you see above will be gifts for my friends and family. (Lucky you if you're reading and one of them...sorry about ruining the surprise!) They were made by the women of Stitch Buffalo, and you can read about this group, started by my two friends, Dawne Hoeg and Shelby Deck, below. 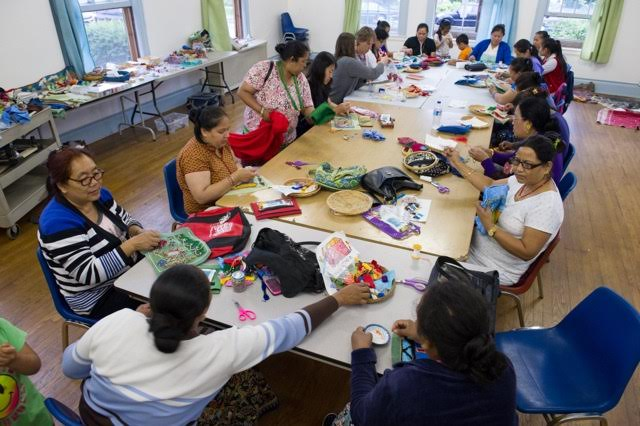 The vision for Stitch Buffalo was conceived with an impulse to unite the communal craft of textile arts with Buffalo’s growing refugee population. Our goals were to: educate individuals in contemporary textile design methods, nourish and honor global textile traditions, provide cross-cultural interaction, providing a supportive social network, stimulate literacy skills, improve financial opportunities, create a community of women supporting women. Over the last year and a half, the Stitch Buffalo has grown from one Congolese woman to more than than 45 women from all over the world who come on a weekly basis for skill training and creative support in the vast and beautiful field of textile art and design. Along the way, non-refugee participants have enriched the class as well, further deepening the experience for everyone involved. Due to popular demand (yay!) feathered friends are gone until after the holidays. Pouches and cuffs are still available, and I will pay shipping on one or more of these beautiful items! Stitch Buffalo refugee artisans make 'Feathered Friends' ($15), 'Prayer Pouches' on linen ($25), and embroidered ‘Wonder Woman Cuff Bracelets' ($45). I will pay your shipping for an order of any two items. You will receive a surprise color and for each item you purchase, and 70% of the money will go directly to the refugee woman who stitched the piece, the remainder going to materials. Each stitched piece will be tagged with the artisan's name and home country. If you are interested in ordering two of any Stitch Buffalo pieces, The Poem Farm will pay the shipping to fly your order of birds to your home in the continental US. Please just drop me an e-mail to amy at amylv dot com and I will let you know where to send your check. Then, I personally will mail your birds or pouches or cuffs! All orders (and checks) must be received by December 15. Thank you for reading! If you would like to learn more about Stitch Buffalo, enjoy the clip below. Please just let me know via e-mail at amy@amylv.com if you are interested in ordering any 'Feathered friends', 'Prayer Pouches', or 'Wonder Woman Cuffs', and I will handle the order and pay for your shipping. 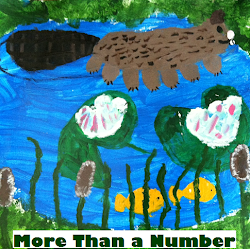 It is a delight to host author and illustrator Peter Catalanotto over at Sharing Our Notebooks this month. Please stop by, enjoy peeking into his notebooks, and read his words about creativity being messy. Too, Peter has offered two books for giveaways to commenters on this post. 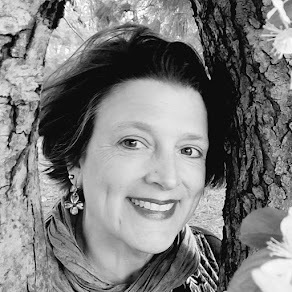 Tricia Stohr-Hunt is hosting this month's Poetry Friday roundup over at The Miss Rumphius Effect. Visit her place to find this week's poetry offerings, and stay to get lost in all of her own wonderful posts from years gone by. Lovely, Amy. You've been the tree more than you know. Amy, this poem and the information about the Stitch Buffalo group is just the kind of thing we need to hear and focus on during these times. Thank you! 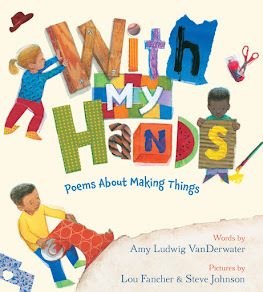 The kindness and caring that comes out in this poem and the poems on your website (that Laura Purdie Salas linked on her today's PF post) are not only great reminders for kids during these tough news days, but us adults too. Amy, I just love what Fred Rogers' mother had to say - and I'm reminded again that I need to honor those helpers, iand become more of a helper myself. Bravo for you to find a way via your blog to help Stitch Buffalo - I might talk to some friends about getting something similar started here in Seattle (or maybe there's already something similar I can volunteer with.) I need to do a little local research. In any case, thanks for posting poem, video, et al - let's hope that many, many more little birds find their trees and build their nests. Happy Thanksgiving to you! Amy, by passing along the word about this community and planting the idea for creating other groups, you are a tree. By sharing the message of helping through book titles, quotes, etc. you are a tree. Thank you, Amy. Thank you to all who help others! Hi Amy, the birds are lovely, as is your poem. I love hearing about the organization. Here in Denver there is a day center for homeless women and children who get all kinds of support, including child care. Some of them paint cards which sell all over the city, including my school. I love that you are taking a step to help. 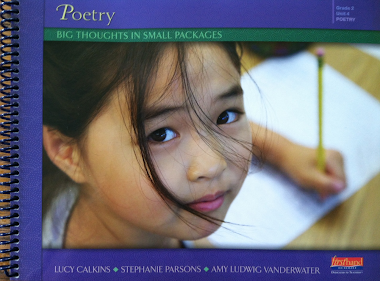 I love this poem and can't wait to share it with my 2nd graders. It is going into my plans for Monday morning. I feel very fortunate to have attended your workshop and I have been truly inspired by you. Very thought-provoking poem, Amy - I like the personification of the tree offering respite to the robin. A beautiful poem, a meaningful post, and a generous offer. I feel like I've hit the jackpot! Love the poem and the sentiment you expressed in your post. The quote from Fred Rogers' mother is wonderful. I love the stitched birds.